Welcome to the February product update. In this issue, we cover some great new features which will help manage your practice, streamline your workflow and enjoy the flexibility to fix errors in a BAS that has already been lodged. QuickBooks Online allows users to mark a BAS as lodged. Marking as lodged soft closes the BAS period and tracks any changes to transactions in that period as amendments, in the next upcoming BAS period. However, every now and then, advisors would need to unlock the period to make changes to transactions to ensure that the BAS figures in QBO match with what they lodged with the ATO. Currently, to make changes to the BAS, the advisor would need to call the QuickBooks Customer Success team in order to unlodge a BAS marked as lodged. We’ve taken on board the feedback from the ProAdvisor community and built out a solution that enables a BAS to be unlodged by advisors with any past amendments being retained. This provides advisors with an easy to use self-service tool enabling them to make changes quickly without impacting the accuracy of the client’s books. Note you can only unlodge the most recent period. Watch the video to see a case in action. The Unlodge BAS feature will be rolled out from early March 2019. We all work differently so that’s why we’ve added greater flexibility to view and allocate tasks the way it works for you. Introducing the ‘workflow calendar view’, found in the work tab it provides the user with a graphical overview of the month, tasks and their status whilst providing alerts if they are overdue. From a management perspective, it enables you to see what an individual team member is working on for the day, week or month enabling prioritisation of work where required. The view can be filtered to narrow the focus to clients only, a specific task or project and or team member. On the right-hand side of the calendar view is a list of tasks with the ability to update the status which then flows throughout the calendar. 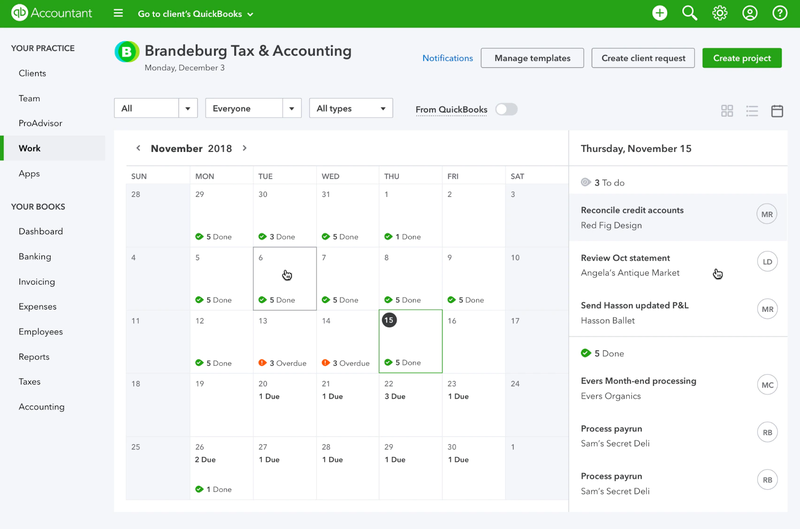 Calendar view doesn’t replace the list view, but rather they work in tandem, with the list structure being beneficial for a manager who needs to assign a large number of tasks. This new view should provide greater transparency of the work being undertaken in the firm, ensuring that nothing is left to chance, with staff members feeling more confident that they are on track to achieve their deadline and using their time effectively. Try the new look calendar view today. QuickBooks’ payroll partner KeyPay has truly changed the way you work and pay with its latest feature release Automated Pay Runs. KeyPay’s first of its kind automation removes all the painful parts of payroll processing, from start to finish. 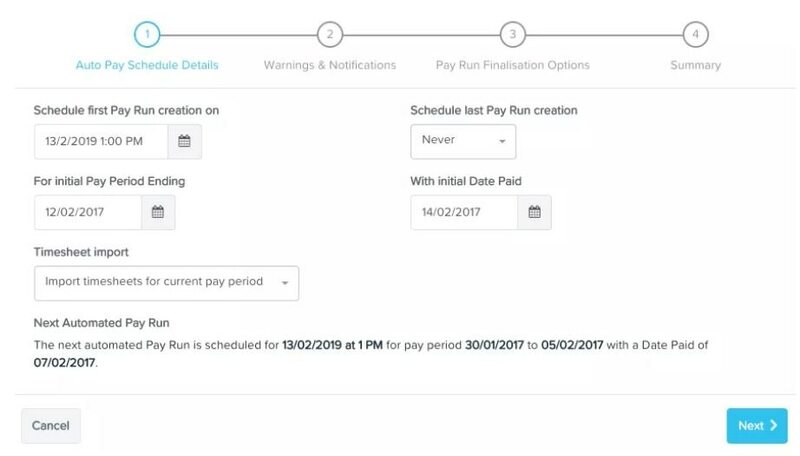 With an easy one-off configuration, you can now set up pay runs to run automatically, and only get notified when you need. The benefits to customers are saving time, retaining control, and quality assurance. The user will still be required to lodge the pay event directly with the ATO (as per Single Touch Payroll legislative requirements).